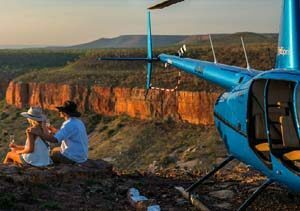 Explore a 350 million year old limestone reef system, see a diverse range of birds and bats, learn about Aboriginal heritage, spot crocodiles and enjoy some great fishing – all of this and more is waiting for you at Geikie Gorge in the Kimberley region of Australia. This stunning national park is the most easily accessible park in the Kimberley, only 20 km outside of the small Kimberley town of Fitzroy Crossing. The gorge itself was formed by the Fitzroy River and the water level can rise by up to 16.5 metres in the wet season. 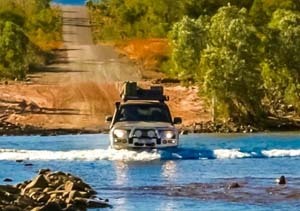 During this time the waters can flow with thirty thousand cubic metres per second, making it the largest river in Australia. It’s a fascinating Australian destination to explore, offering insight into Aboriginal culture as well as many wildlife spotting and bird watching opportunities. It was part of an ancient limestone barrier reef that snakes across the west Kimberley and was laid down in an ancient sea in Devonian times. As you glide through the gorge you will be able to see that the continuous rise and fall of the water levels has left the walls of the gorge bleached white – making this eye-catching natural wonder a photographer’s delight. 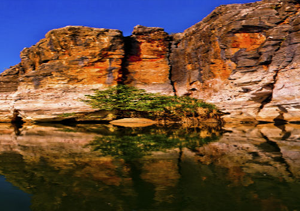 The gorge is a nature lover’s paradise and a popular location for trekking, photography and wildlife spotting. 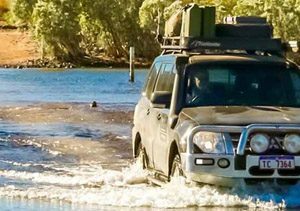 Keep your camera ready and your eyes peeled for spotting fish, birds and reptiles – such as the coach-whip stingray and the Leichhardt’s sawfish. (Freshwater crocodiles live here, and although they are not often a danger to people it is important to keep an eye on your young children.) Although the park offers barbecue areas, picnic shelters and toilets, no overnight camping is allowed and visitors may only enter during the day. Taking a cruise through the Geikie Gorge is an Australian outdoor adventure that you will not soon forget. The gorge was named after the British Director General of Geological Survey, Sir Archibald Geikie, in 1883. However, Sir Archibald never actually visited the gorge itself. The aboriginal Bunuba people are the traditional owners of the gorge and they hope that the name they call it by – Darngku – will become more popular. The Bunuba people offer cultural guided boat tours of the park, during which they explain their connection to the land and traditional way of life. 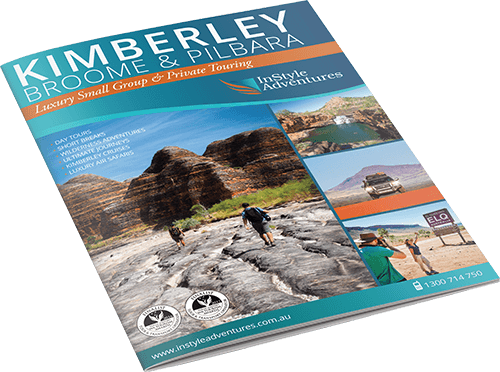 The indigenous heritage in the Kimberley region dates back between forty thousand and sixty thousand years – making it the oldest established culture on earth. 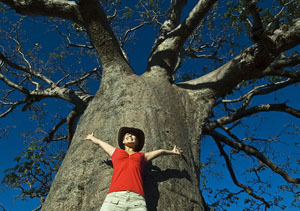 This is a great opportunity to learn more about the rich history of the aboriginal people within the Kimberley region. If you visit the gorge between May and October you can enjoy pleasantly warm days, dry weather and cool evenings. During the months from December to March the weather will be wetter and stormier, but the landscapes will be more lush and green as a result. However, the Fitzroy River may flood between December to March, causing the park to close, so it is best to avoid this time of year. The park will be open from 6:30 am until 6:30 pm from April to November. The best way to see Geikie Gorge is to take a boat tour. Here at Instyle Adventures we offer private guided luxury journeys that will show you the stunning natural beauty the Geikie Gorge has to offer. 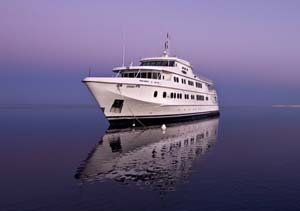 To find out more about our trips, you can feel free to contact us at any time. Click on one of our Tours below to experience this beautiful region!